360 Videography: What would Matisse do? 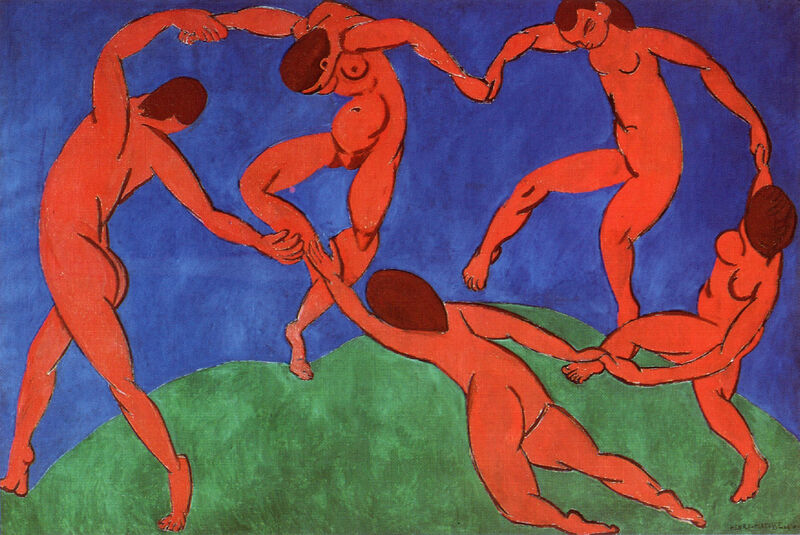 Matisse wasn't known as an artist who embraced new technologies. His works, however, can act as reference points or starting points. The Dance, painted in 1910, could be re-invented as a 360 video. Though the technical challenges are large, the sensitivity and aesthetic sense required to successfully interpret the painting for 360 video are much larger concern. The photo is courtesy of Lionel Chok, from a project called Curiosity 360. Possibly the first of its kind to be produced at Middlesex University, “CURIOUSITY” 360 Dance is a fully immersive video and live dance experience combined. Performed by 2 dancers to just 1 audience member for the duration of the show, this 3-and a-half-minute experiential work-in-progress will be curated to a selected group of audience by invite only from 2 to 4pm on Friday 29 May 2015. Be enthralled by this brand new show, where both the 360 video and its corresponding live dance will literally put you – in the centre of it all! This entry was posted in Angelic Visions: drones, Art, Book Merah, VR and tagged art, VR. Bookmark the permalink. 4 Responses to 360 Videography: What would Matisse do?